13" square Giraffe Lil' Snuggler soothing cuddle toy for baby. Pink ultra soft fabric with embroidered embellishments. 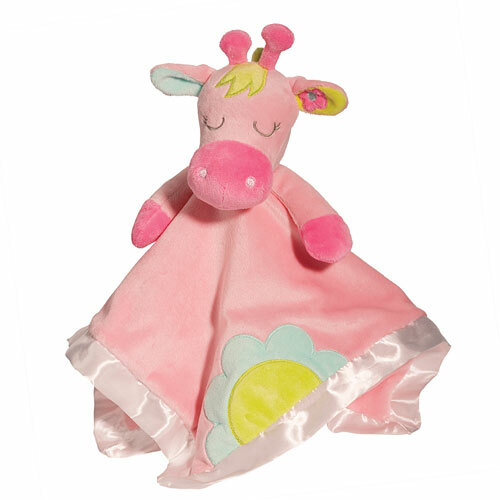 Ultra soft machine washable plush with satin trim. Perfect carrying size!